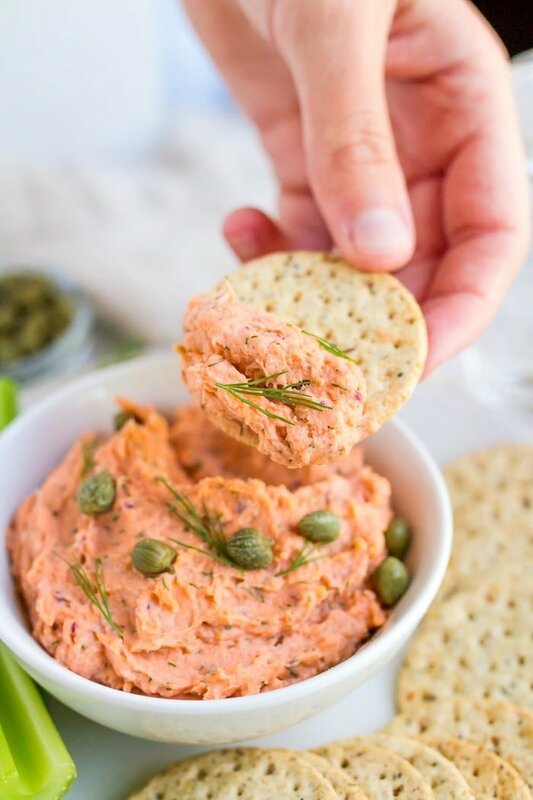 This 4-ingredient smoked salmon dip is so easy to make, loaded with flavor and provides a ton of protein. Serve with crackers and veggies as an appetizer or pack it up for a work lunch! Paleo-friendly, dairy-free, gluten-free and grain-free. This post is sponsored by Simple Mills. As you know I’m all about quick and easy recipes. As much as a I like being in the kitchen and creating new healthy recipes, I also really like to keep things simple. Which is why I’m totally loving this 4-ingredient smoked salmon dip. 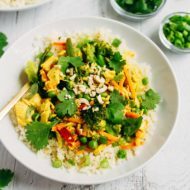 It takes about 5 minutes to prepare and you can use it in a variety of ways. 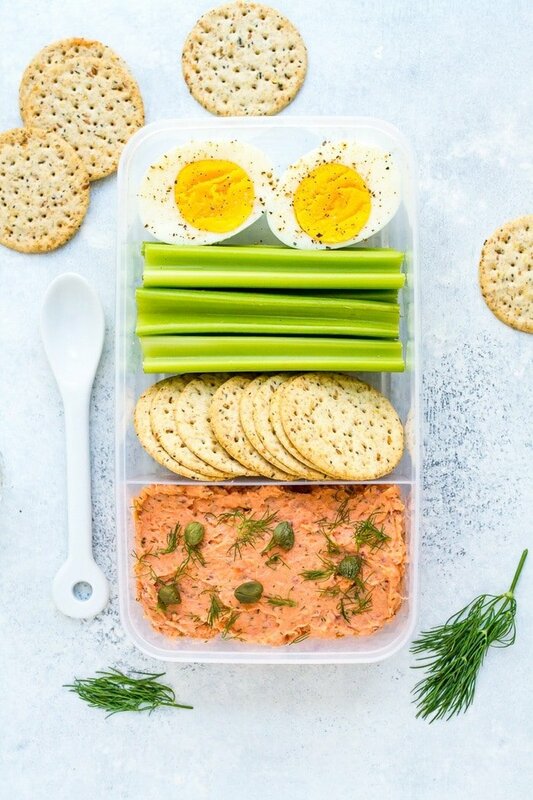 Serve it up to guests as a party appetizer, make a batch as part of your weekly meal-prep for snacking throughout the week or use it to make a protein snack pack for lunch. Or heck, do all three! Most folks don’t think about packing a dip for lunch, but it’s such an easy and fun idea. 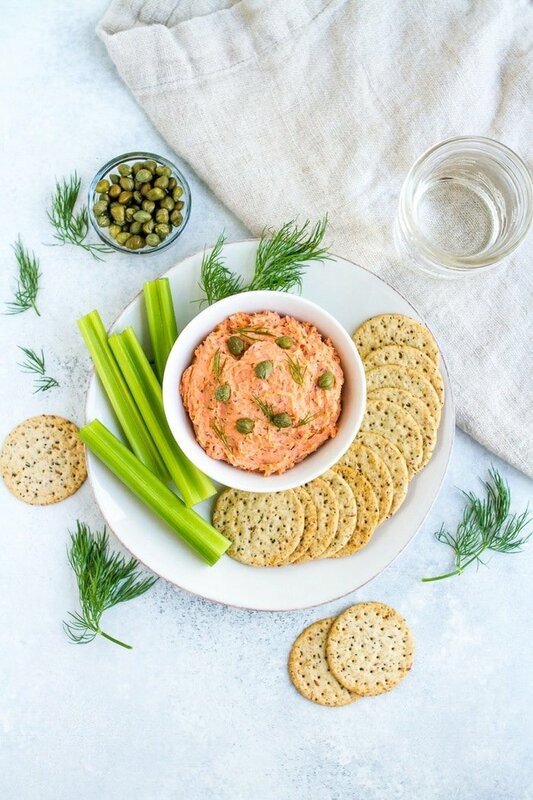 Plus, this smoked salmon dip paired with crackers and veggies makes for a healthy and hearty option. I love the creamy, salty flavor and the fact that it’s loaded with protein and omega-3s! 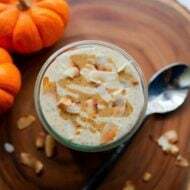 For this recipe I’m partnering with one of my favorite real food brands, Simple Mills. I’ve mentioned their almond flour banana muffin mix before (so good! ), but now they have a new line of sprouted seed crackers that we’ve been enjoying as well. But the most important part is that they taste good, right? Luckily Simple Mills has that part down too! For this recipe I went with a bagel, lox and cream cheese theme so I paired the smoked salmon dip with the everything flavored crackers. The other flavors available include original, garlic & herb and jalapeño. I think the jalapeño might be my favorite of them all because they pack a good amount of heat. I’m sure you’ve noticed, but this girl loves a little spice. One additional point about the crackers is that they hold up well with dipping! Flimsy crackers and chips that break when you use them for dipping are a pet peeve of mine. 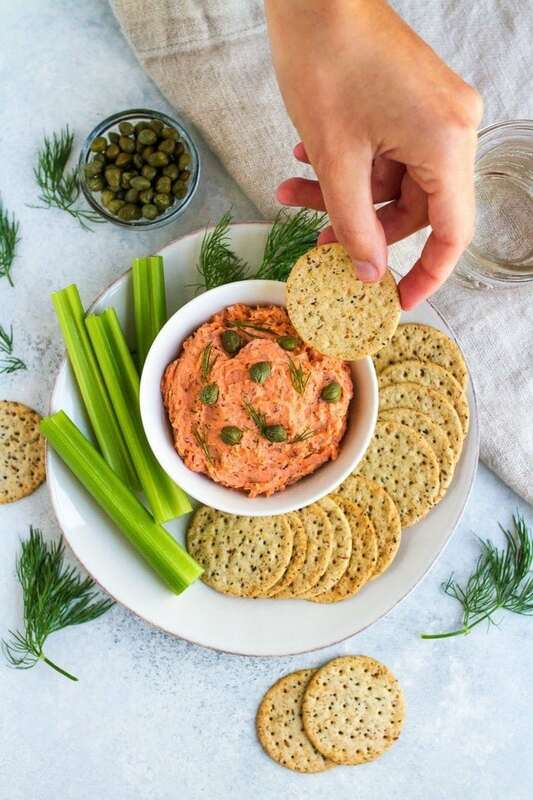 Luckily these sprouted seed crackers work great for dipping — even with thicker dips like this smoked salmon dip! Ready to try this dip yourself? Here’s the simple recipe. I can’t wait to hear what you think. 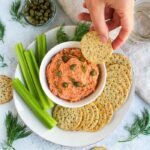 This 4-ingredient smoked salmon dip is so easy to make, loaded with flavor and provides a ton of protein. Serve with crackers and veggies as a appetizer or pack it up for a work lunch! Add all ingredients to the bowl of a food processor and pulse until salmon is chopped well and everything is combined. Do not over process. Place dip in a small serving container, garnish with fresh dill and capers. Serve with everything crackers for dipping. 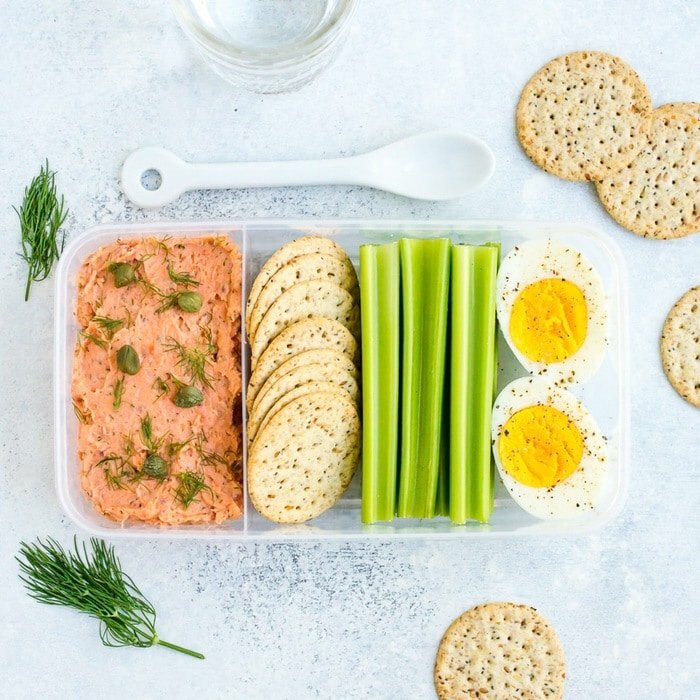 For the protein packed lunch: package up the smoked salmon dip with crackers, veggies and a hard boiled egg. *I kept this dairy-free by using Kite Hill almond milk cream cheese. Feel free to use regular cream cheese if that’s what you have on hand. 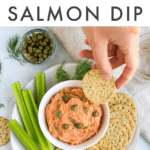 If you try this smoked salmon dip please let me know how it turns out in the comment section and be sure to leave a star rating as well. 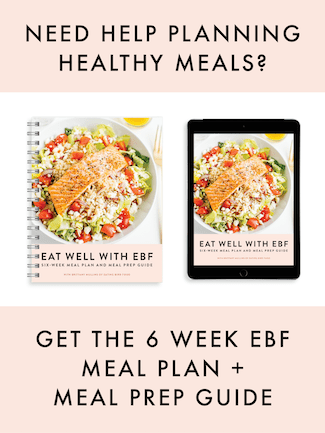 Your feedback is super helpful for me and other EBF readers. This post is sponsored by Simple Mills. Learn more about how Simple Mills is making Back-to-School and Back-to-Work season simple & fun here. I’ve never thought of making a dip out of smoked salmon…this sounds so interesting and tasty! 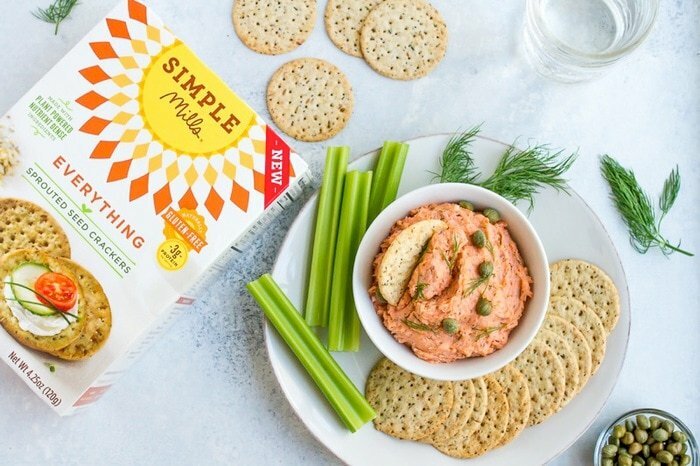 These Simple Mills crackers sound like a great healthy option! How is this dip dairy free if it has cream cheese? Hi Elizabeth. Good question. I used Kite Hill cream cheese, which is an almond milk cream cheese so it’s dairy-free. I mentioned this in the recipe. Serves me right for skipping straight to the ingredient list and nothing else. Thanks for pointing that out! I have never had a salmon dip, but this looks great. Thanks for sharing. This looks simply DELISH! I will definitely have to try it out. I love smoked salmon dip. This looks so much healthier than others I have seen. Wow this looks amazing! I’ve never made anything like it before but it seems super simple! this post is very useful for me. 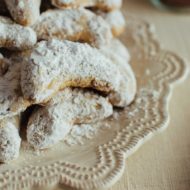 Please keep sharing this type of tips for making this cookies easily. I would like to use lox. Would that work? This is the recipe I have been looking for! I love smoked salmon but am sensitive to the texture and concerned about how it might turn during the commute. Love that you have made this dairy free and paired with high fiber crackers as well. What a delicious, healthy lunch that I will look forward to!